This ostentatiously impactful and visually dazzling Slimline Low Level WC With Ceramic Cistern Lever from Burlington is a beautiful piece of naturally impressive bathroom adornment. 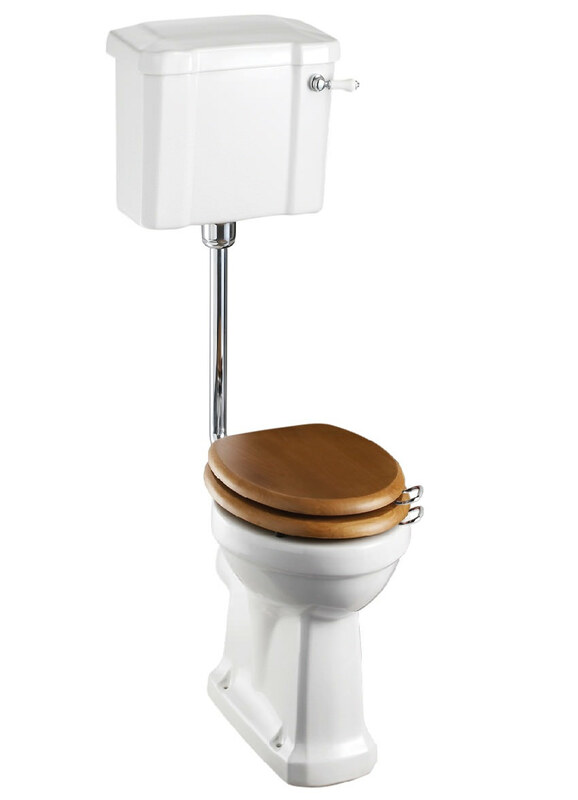 Made from high quality vitreous china, this unit is coated in captivatingly elegant white. 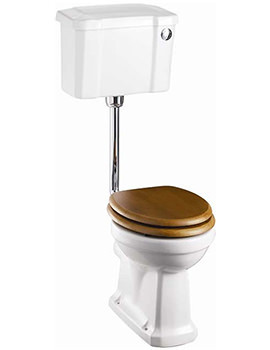 The WC is treated with NanoGlaze coating, which ensures easy maintenance. The box rims facilitate even cleaning inside the pan on flushing. Does the job and looks great. 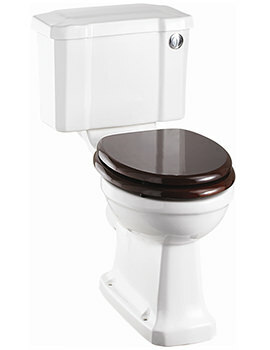 Slim line cistern fits nicely in bathroom space. 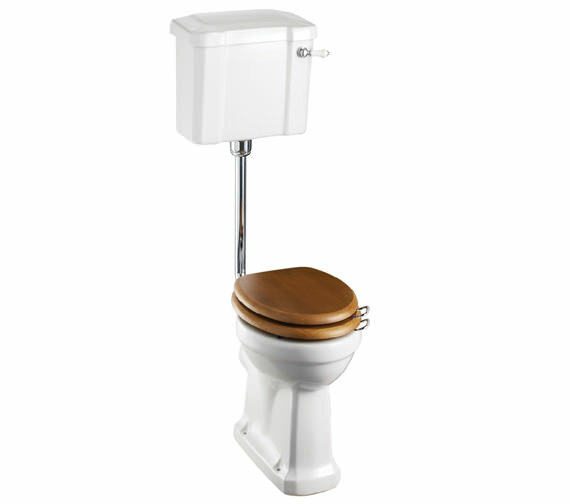 I also like that water saving flush design, up for short flush and down for full flush. Only thing that disappointed were the 2 metal brackets that the cistern sits on. They do the job but look cheap and flimsy. I expect the brackets are normally out of sight but when having a bath they're directly in my line of sight. They seem out of keeping with the classical design of the toilet. I replaced them with a couple of cast iron supports from the old toilet. Also the flush handle keeps turning round. May be that my builder didn't tighten it enough. I've since tried to fix this but now the handle points to floor rather than to the side. Still working on getting this sorted. 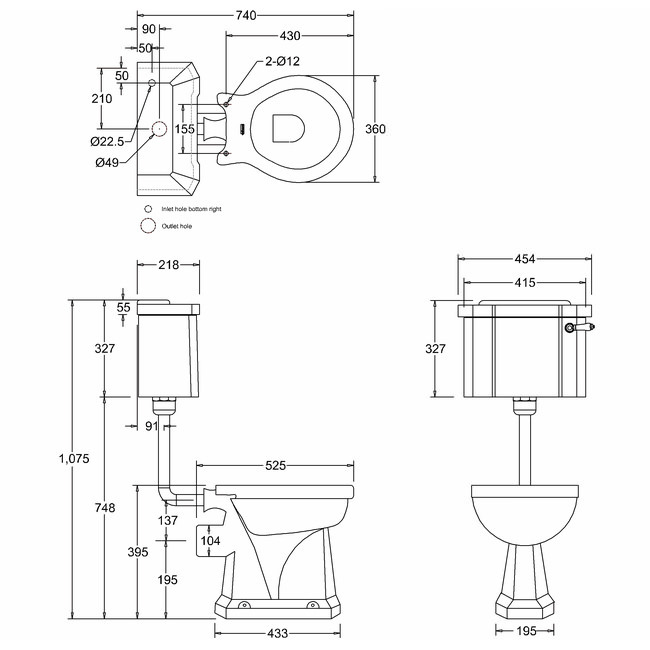 This is a perfect toilet in a small shower room and bathroom, combining a classical design and smaller dimensions to make most of limited space. Only drawback is that the handle to flush keeps moving around. 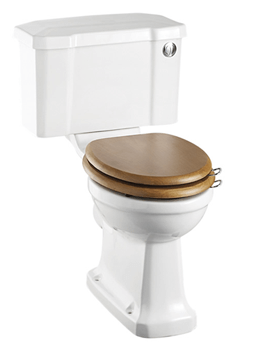 I've adjusted and tightened the fitting several times as well as my plumber but after a short time of flushes it starts to loosen and drop from its position. Same with toilet seat. I've lost count of the number of times I've repositioned it and tightened the screws. Have never had to do this with any of the previous toilets I've had. Delivered exactly on time on single pallet. All burlington items - sink , bath toilet etc. correct and undamaged. Bathroom now installed and working - would buy from qs supplies again (qs had competitive prices on these items as well as excellent service).